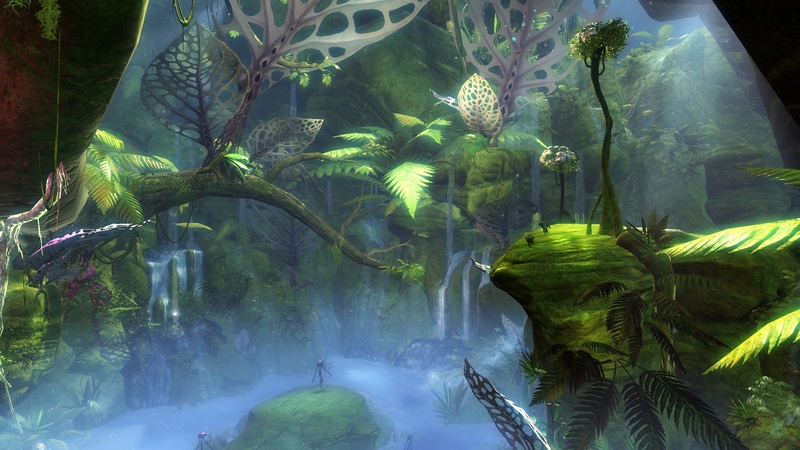 Since the first beta weekend event, I’ve discovered plenty of reasons to love Guild Wars 2. But strangely enough, it’s not the combat or the personal story that has me the most excited after the last stress test. It’s not even world versus world combat. Of all things, it’s the map of Tyria that has my attention. I’m an explorer when it comes to virtual worlds; I like to find their edges. 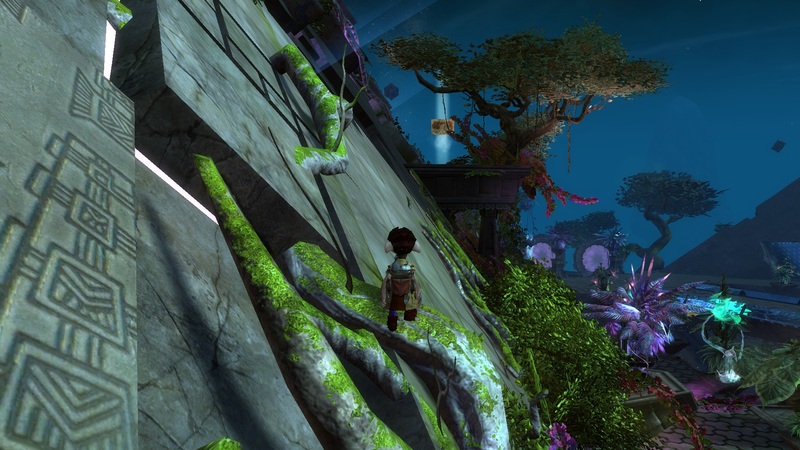 For people like me, the Guild Wars 2 map is more than just a map; it’s a scavenger hunt and a game unto itself. 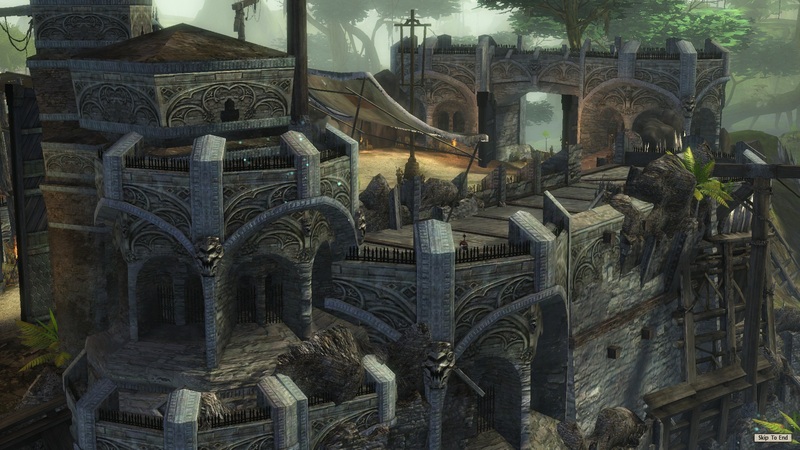 Each area in Guild Wars 2 has a list of objectives for players to find on every map. Certainly, many of these objectives by themselves are nothing new. Plenty of games award players some kind of recognition for visiting points on a map. 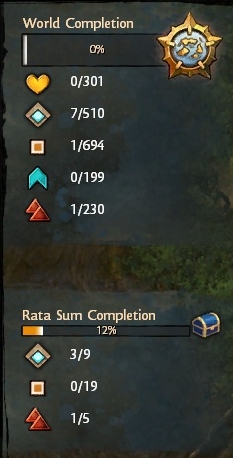 But ArenaNet seems to have figured out that overlaying several kinds of objectives with very different reward mechanisms creates a map that demands completion from just about any player. 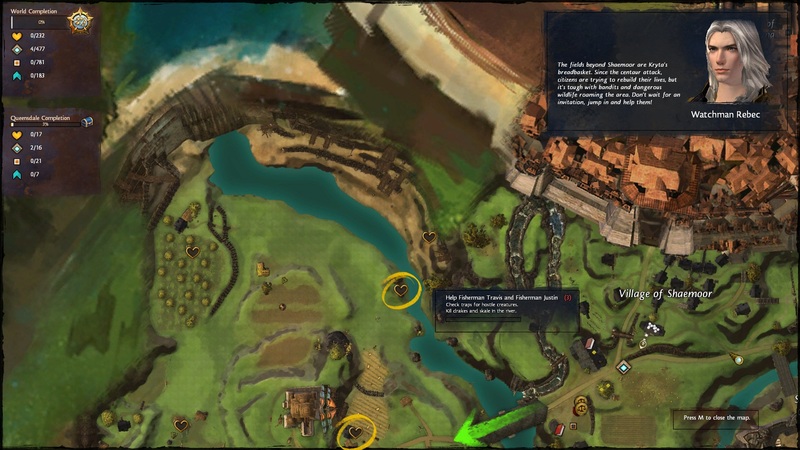 Just as the game’s in-game scouts point out nearby objectives for wayward players, the overall map of Tyria with its tantalizing completion bars encourages players of all kind to get out into the world and explore. Hearts of Renown track NPCs you help across the region. Players interested in story or simple level advancement should pursue these to get extra experience not only from the hearts, but the dynamic events they are bound to encounter on the way. Waypoints grant every player quick travel capability to point on the map. Having access to these not only improves player quality of life, but makes it easier for players to respond to and participate in rare dynamic events when they pop up. Points of Interest may not seem like much, but they offer experience when finding them and any completionist is going to want to hit them all. Skill Challenges offer players unique ways to earn skill points outside of normal leveling. Often tucked in out of the way areas, they are a quick way for any player to unlock some utility skills early and gain an edge. Vistas are accessible through jumping puzzles. 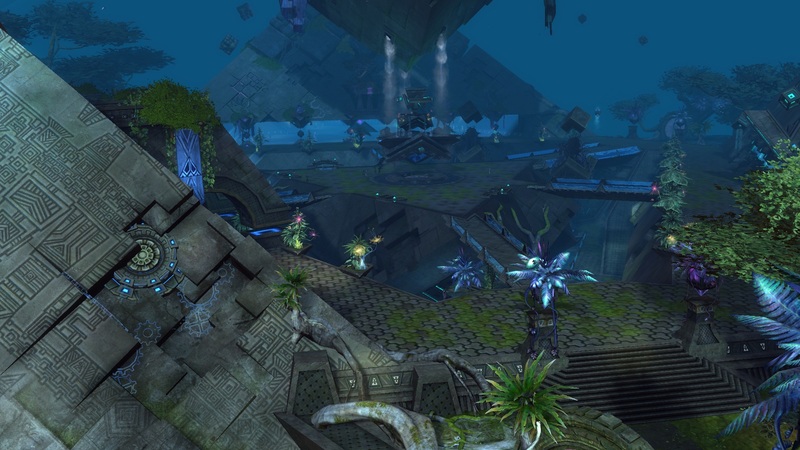 Upon reaching the points, players are rewarded with panoramic cinematics of some of Tyria’s best sites. Completing an area awards players with a huge boost of experience as well as a chest with appropriate level gear. These alone make completing a zone worth the extra effort if a player is racing to max level. Of the objectives described above, vistas are the ones I’ve come to love the most. The jumping puzzles are wonderful diversions from traditional player versus environment game play. They turn the terrain into an opponent. Reaching the vista is sometimes easy with obvious staircases with simple jumps. Sometimes it’s less than intuitive like climbing vines along a wall. Either way, getting the prize is always satisfying. I have never been what you can call a graphics hound when it comes to games, but the cinematic rewards have already created several different backgrounds for my computer and are more than enough reason to seek them out. At the end of Beta Weekend 3 and the last stress test, there were over 1900 objectives for players to search for in game. This number will only go up as ArenaNet releases new parts of the map to explore in future content updates. 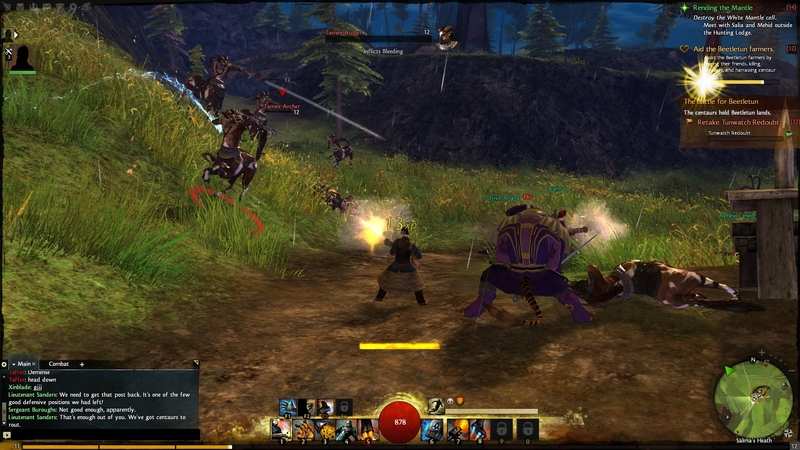 Unlike in other games where you can quickly out level an area, minimizing the fun of exploration by taking away the danger, Guild War 2’s dynamic level adjustment keeps every objective relevant for players until each and every one is found. 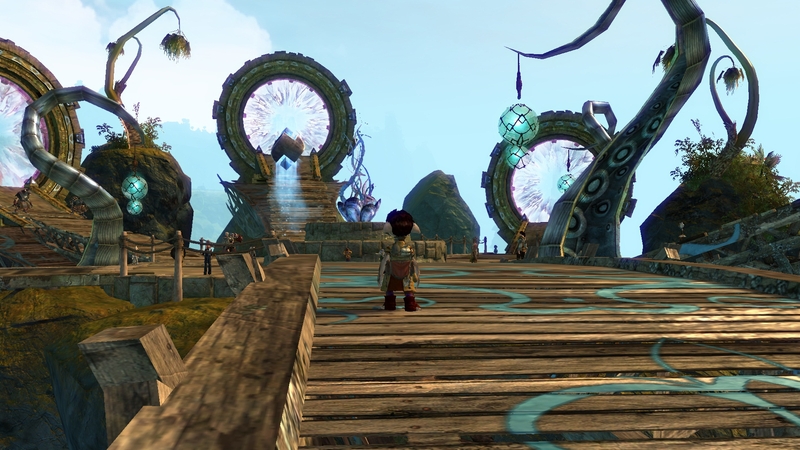 Newly released MMOs are often criticized on release for lacking content, but with such a robust system already tied into the world map, ArenaNet looks well poised to avoid that critique from explorers. There are two reasons I play MMOs: the experience of playing with others (competitively and cooperatively) and to test the limits and depth of the virtual worlds they provide. The first MMO I played for more than a few months was Asheron’s Call. What got me hooked on that game over other more popular options at the time were the hidden places to explore on the map. I’ve yet to find another MMO with a world quite so robust in terms of exploration potential. With the Guild Wars 2 release date fast approaching, I should soon be able to revise that statement. Ready or not… here I come. Legends have to learn to make choices like this. 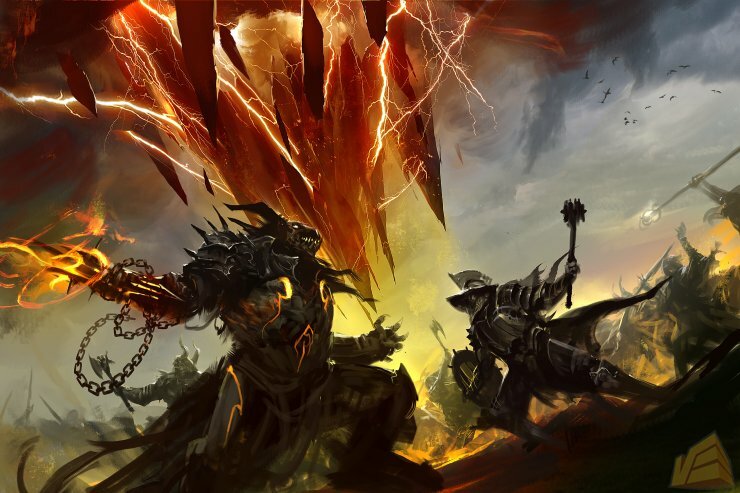 Despite a few not entirely unexpected hiccups related to the sheer volume of players, Guild Wars 2 turned out to be surprisingly “finished” for a beta, especially since only three of the five player races were available for play testing. Trying to play the beta ended up being a lot like trying to eat responsibly at a buffet restaurant; I tried to stick to a few things I knew I’d want to play, but ended up trying almost everything once I saw how good it all looked. I had such a blast giving this game a test-drive that I actually forgot to take screen shots of many areas I’d intended to document. This lack of some of the best eye candy will truly be to your disadvantage because the game’s graphics and cut scenes are both high-quality and have a very unique style. … is heavy on interesting choices. … offers an incredibly fluid gaming experience. … has dynamic content that had me participating instead of grinding. And now on with the show. Guild Wars 2 is heavy on interesting choices. Legen… wait for it… dary. Some of the first interesting choices I was hit with came right at the beginning with character creation. In addition to the usual choice of race, class, and physical appearance, I was able to customize the look and feel of my armor right out the gate. More importantly, I was presented with a number of short anecdotes about my background to choose from, like what I did at a recent party, which god / nature spirit blessed me as a child, or if I grew up on the streets or in a noble family. Upon finishing the character, I was launched into a short video detailing my character’s past and current situation, influenced by the story choices I made during creation. This was a nice touch that signaled immediately that the decisions made at the character screen weren’t just cosmetic and would color the game play experience. Choices don’t just have to do with story, however. All characters’ main combat abilities are governed by a combination of their equipped weapons and their profession, or class as other games usually call them. Equipping different weapons gave me five completely different primary attacks and each profession also has a secondary mechanic which changed up the skill dynamic to offer flexibility. For instance, an Elementalist can’t change weapons while fighting, but can swap between the four elements (fire, water, earth, or air) mid-battle to radically change the style of combat currently being used despite what weapon you have equipped. An Elementalist using a staff will have five different fire skills than one wielding a sword, and two Elementalists wielding staves may have different abilities at any given time depending on if they are using the same element or not. This flexibility was what lead me to try out the Elementalist profession first, but it wasn’t long until I saw other characters using awesome ability combinations and I felt compelled to try a few more professions. I ended up trying the Necromancer and Thief as well, but spent the lion’s share of my time as the Engineer, a gun-totting adventurer with a steampunk inspired arsenal literally on his back. The complexity that weapon and profession skills brought to the combat system let me make non-binding game-play choices early on that really impacted my personal combat style. Combine that with the fact that each profession has a few dozen utility abilities, but can only use four at a time, and I ended up really thinking hard about what weapon and utility abilities I equipped to tackle different situations. To be fair, this much flexibility does include some risk that you can temporarily invest in the “wrong” skills, but it’s a fairly marginal risk in that a mistake doesn’t last long. For instance, I added skill points to some grenades on my engineer that I thought might be interesting, only to find they didn’t support my current play style. I wasn’t able to find a way to respend those points, but it wasn’t too long before I had enough points to get a new skill to replace it. Further, it looks like at max level you’ll have all the utility abilities anyway. It probably wouldn’t hurt if they added a mechanic to let players redo those points, however, especially since there are already books that let you reset your talents (mostly passive boosts to one facet of your character). 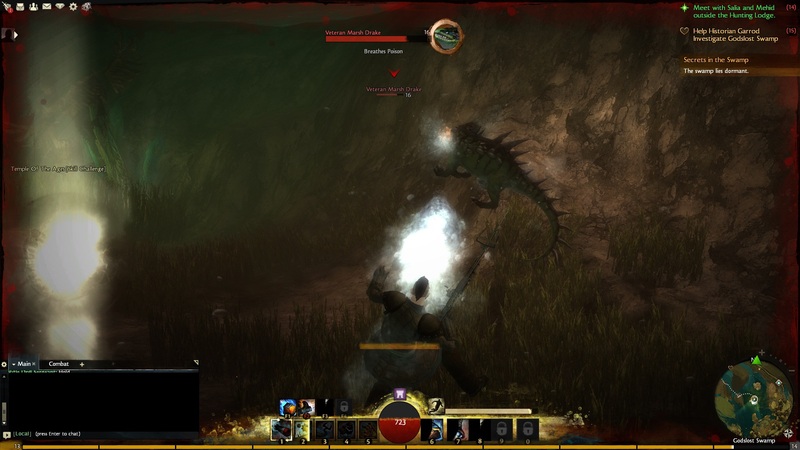 Guild Wars 2 offers an incredibly fluid gaming experience. 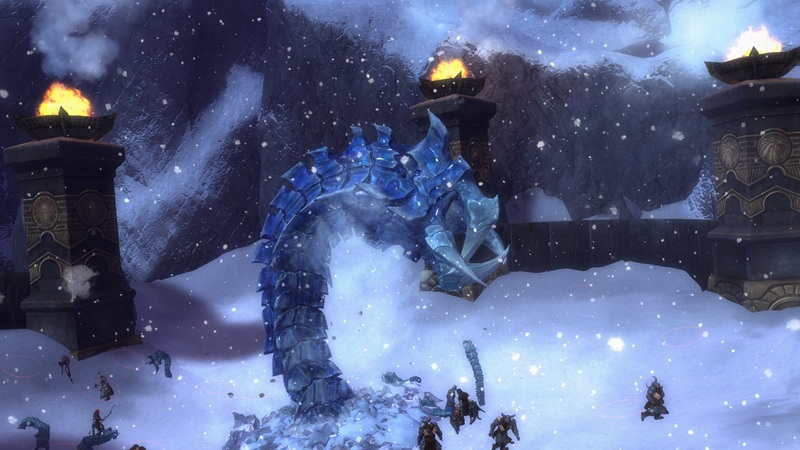 The ArenaNet team has not only accomplished building a game that offers interesting choices at its core and periphery, but also managed to keep a lot of subtler features that tend to fall by the wayside in other games. These immersive features let me flow between aspects of the game both from a story perspective and also in terms of teaching me to handle the necessary evils of learning to perform my role via the game’s interface. They mitigated what could have been a paralyzing game experience in such a big world into something much more enjoyable. Nothing is more frustrating than not really knowing what to do next and retreading ground as you end up trying to figure out where to go. One of the features that I hadn’t really seen discussed anywhere else, but which I found very ingenious, were the in-game scouts. Friendly NPCs marked on the minimap with a spyglass were usually hanging around natural junctions between areas in the game. These scouts would pull up my world map and give me a little briefing on the local area, highlighting with a “pen” where I could find things to do in the area. It’s a relatively minor feature for players who are familiar with a region already, but it’s very thoughtful toward new players by giving them a little help getting around without outright handing a complete map of the game to everyone, ruining it for those who like to explore (like me). Google traffic to be included in a later patch. Actual underwater combat is another arguably unnecessary, but completely awesome and fluid (pun intended), feature in Guild Wars 2. Fighting underwater is usually a niche experience in many games, to the point that some don’t even allow you to swim and those that do usually restrict it to fairly marginal areas. When supported, underwater combat is usually identical to land based combat, but you move a lot slower, in three dimensions, and may or may not have to pay attention to a “breath” meter. 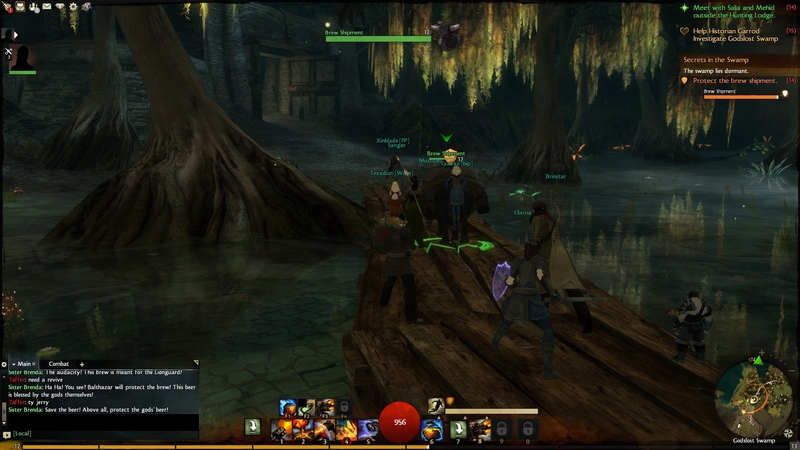 In comparison, the Guild Wars aquatic experiences are seamlessly integrated throughout the story experience. There are hidden objectives under lakes in new player areas and about one quest in ten quest areas involves some kind of water component. Immediately going underwater shifts you to your aquatic weapon, which as noted in the section about choices, switches you directly to a new set of five abilities. Other above-ground utility abilities have new and improved functions when underwater. On my engineer, I had an ability to shoot an oil slick out behind me on dry land to slow people chasing me… that oil slick became cloud of oil that blinded opponents underwater. Really everything just moved in the game. It just felt natural to move from area to area, from quest to quest, from event to event, from story to story, and from every facet of the game to every other facet of the game. Lately it seems like many MMO developers forgot to take notes about what people hate about the genre, but that was clearly not the case with the ArenaNet development team. Guild Wars 2 has dynamic content that had me participating instead of grinding. As I went on in great length in my previous post, the Guild Wars 2 dynamic event system was the number one feature I wanted to test out this weekend. Luckily, the ArenaNet team did not let me down on this one. I can honestly say that the most fun I had during the weekend was when a random event would occur near where I was doing other things and then an hour later I’d realize that the events had literally pulled me along for the ride. I’d be lying if I said I wasn’t a bit worried at first. The first dynamic events you experience at low levels are directly scripted into the encounters or seem to occur on a periodic loop where a single event affects a particular area at somewhat predictable intervals. These events, while epic and unexpected the first time around, are by their very nature not dynamic. Truthfully, I was worried that this would carry over as I progressed, but I think this is more of the ArenaNet team’s way of easing players into what can be a somewhat unpredictable experience later on. I’m the dude in the corner. Level 1. It didn’t take long, though, to find the dynamic experience what I was waiting for. Around level 10 or so on my Engineer, I was making my way to a town when all of a sudden a fort nearby came under attack by a band of centaurs. The game let me know immediately I was in range to assist and as I did not see many others around, I went to assist. One other brave defender and I failed to fight the horde of centaurs off and they took over the fort. It was the first event I’d seen fail, and I couldn’t have been happier. A few minutes later, a new event appeared to retake the fort. More people gathered; we retook the fort and were ushered out to several new objectives. Nearby farms needed repairs from the raid and we had to retrieve citizens taken captive during the centaur attack. Liberating those citizens turned into a counter attack at the centaur forward garrison. I literally spent two hours just following the flow of events as the story unfolded. While it does seem like this event will probably repeat itself eventually if the centaurs are not contained, the overall chain was both well thought out and, most importantly, fun to experience so early in a game. As I played through the world with other characters, I found that being the same areas at different times can often result in an entirely different chain and that ignoring events for too long does have an impact on the game world. On my Skarr Thief, I came across a few way points (quick travel and resurrection areas) that were contested as a result of events. Players had to work to take those areas back, but the minor inconvenience of getting it back was completely worth the fun of actually doing it. To add icing to the already awesome cake, just playing the centaur events I described above gave my Engineer a full level of experience both from the event itself and because events usually tie in directly with activities you’re doing while you’re in an area. I don’t know exactly what metric is uses to grade your performance, but at the end of each I got a bronze, silver, or gold medal with appropriately scaled experience rewards and other rewards. The grading metric seems smart enough to not just look at how much damage you do, as sometimes I’d get a gold medal just for helping a few downed players. Keeping in mind that I only saw 2 days worth of low level content, the one criticism I have of dynamic events so far is that while events do impact the world, they almost impact the world too quickly. Failing or succeeding an event could occur in about 10 minutes, resulting in quick changes to a local area. For instance, the campaign against the centaur horde progressed from just outside the gate to its complete suppression in only about 30 minutes. This may be a byproduct of the massive number of low level players around, so it may not matter much as the game gets more mature, but I figure it’s worth mentioning. 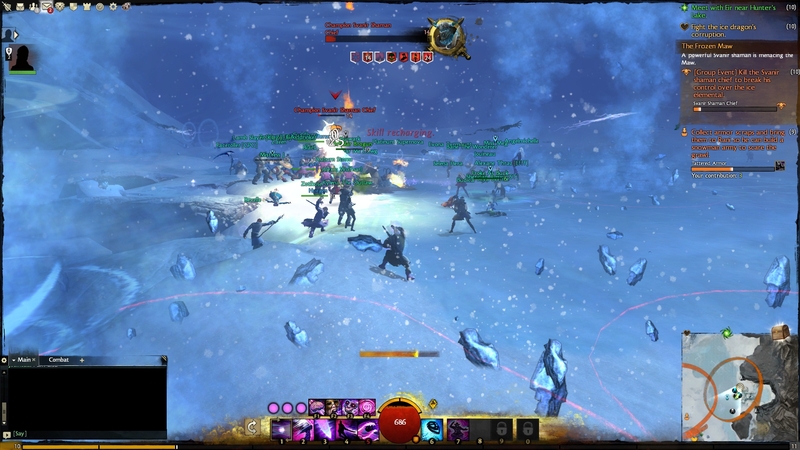 One small side-note on dynamic events: PvP is dynamic by its very nature, but the ArenaNet team has also worked in some extra dynamism into their world versus world combat. I ended up only doing about two hours of PvP combat, but the short bit I did play was in the world versus world area. Each server battled for control of a fairly expansive region… but these weren’t just static keeps to trade hands. Keeping a fortress ended up requiring supplies and those supplies were sent via dynamic caravans that would move between forts and keeps a particular side would control. A friend of mine and I had a blast hunting those caravans down and taking them out. Other caravans in game clearly needed to be protected… at all costs. I’m incredibly pleased with the experience I had during the Open Beta Weekend. Like a good movie trailer, I felt like I saw enough to get excited without worrying that I had seen too much too ruin the whole thing. The thoughtful designs put into this game are sure to make it a hit among the MMO community and I wouldn’t be surprised if other developers start emulating some of the great mechanics woven into Guild Wars 2. This was a pretty long post as is, but if anyone has additional questions about specific parts of the game, I would be more than happy to share what I can on those topics in the comments. 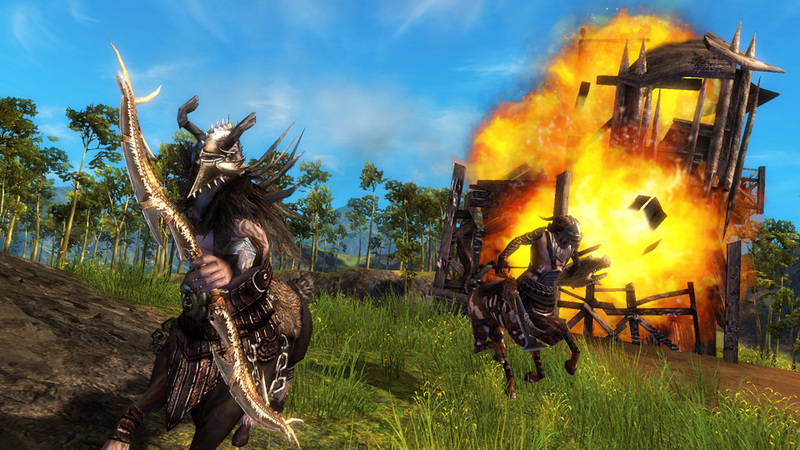 On Friday, ArenaNet will be hosting an open beta weekend for Guild Wars 2. As someone who has already prepurchased the game, I’ve prepped to participate by downloading the client prior to the event starting. 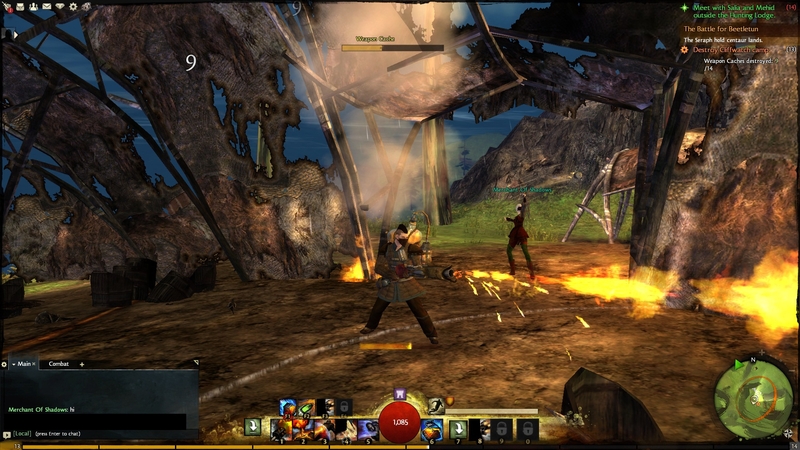 I got my first taste of Guild Wars 2 at ComicCon 2011, though it was honestly a bit tough to appreciate the game playing the first few levels while in the din of hundreds of other people clamoring to get their turn. While I try to keep abreast of most major games coming down the pipe, Guild Wars 2 had largely slipped under my radar until that point. I regretted this immediately once until I saw how the fine people over at ArenaNet were throwing down the gauntlet. They were taking their already successful game and converting it into a truly persistent world – the hallmark of a true MMO – while not compromising on all the things that made the original Guild Wars entertaining and fun. ArenaNet’s design philosophy emphasizes a dynamic player experience and crusades against any aspect of grinding in their game, but the ArenaNet team can describe that far better than I can. Their manifesto (if you only ever decide to follow one of my helpful little links… follow this one) outlines what can only be fairly described as one of the most ambitious attempts to redefine the MMO genre that has come about in some time by a major publisher. While I’ve enjoyed a few of the other newcomers to hit the market lately, the small innovations these titles brought to the genre have not really changed the player experience in appreciable ways that make me want to jump ship on my current titles and invest countless hours of my play time. Suffice it to say, ArenaNet’s goals are lofty for a genre defined by building content treadmills to keep players engaged over the long haul and also lately defined by copying content treadmills that work in other games. The cynic in me can’t help but be skeptical that a company will truly take a gamble by breaking the established money-making formula, but that doesn’t stop me from secretly rooting for them. One such game I used to root for was with the ultimately unsuccessful Shadowbane. I’d become so active in the pre-release community that the community management team selected me as one of three fans to be volunteer moderators for their official forums when the game was released. Despite being riddled with technical problems from release until the game shut down, what drew me to the game was the fundamental design principle that dynamic content was the key ingredient in a meaningful player experience. Sound familiar? If not, you probably didn’t watch the manifesto. Now don’t get me wrong, I don’t think Guild Wars 2 is all that similar to Shadowbane. First, the two games are probably night and day if for no other reason than that ArenaNet has experience producing quality titles. Second, Shadowbane’s dynamic content was created through a system that encouraged conflict and competition between players, an inherently dangerous prospect for a genre where friendly competition can quickly degenerate into vitriol that can tear apart virtual communities. 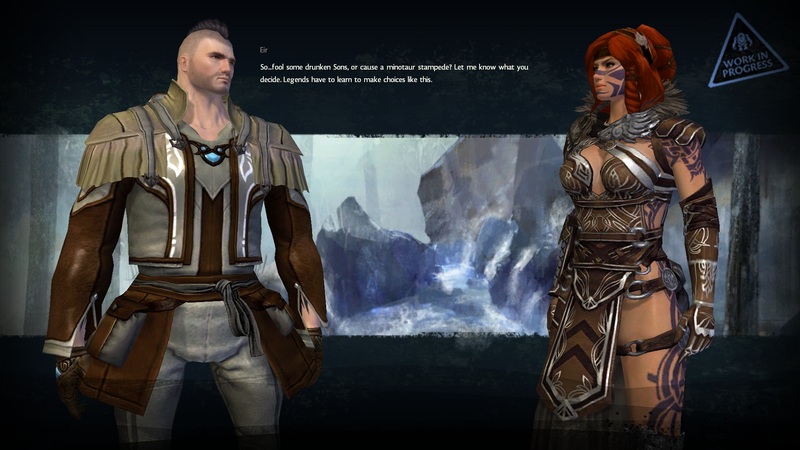 In contrast, the Guild Wars 2 dynamic content seems to be built around the idea of players banding together to deal with what are essentially environmental problems. Different approaches to dealing with those issues may encourage some indirect competition between groups, but the ArenaNet team appears to have anticipated some of the potential traps by implementing design features discourage griefing and event manipulation. Despite these differences in design and implementation, the two games both embody a rebellious spirit challenging the MMO zeitgeist by trying to deliver dynamic content to players. This potential in Guild Wars 2 has me chomping at the bit to log in for the beta event. I don’t expect to see the full extent of ArenaNet’s tricks in a single weekend, but what I do hope to see is some evidence that the dynamic events promised in the manifesto promote a rich and organic game play experience. The last thing I want is another game that tries to pass off randomly occurring static events as dynamic content. So, ladies and gentlemen, I find myself again balancing the need work on other projects with rising hope quotients for a game that already exceed doctor recommended levels. Since I already know which one of these competing impulses is going to win out, I ask that you prepare yourselves for feedback next week when I finally process what should be an exciting weekend of thousands of people all trying to get the same quests done at the same time!